The Horse Forum > Keeping and Caring for Horses > Horse Talk > Introduce your horses! Hey guys! I figured I'd start this so we can get to know everyone's horses! This is my coming two year old cowbred filly "Malone" (for now, I can't think of a name that's sticking so far lol.) I've owned her about a week or so now and she is the calmest baby I've ever been around! 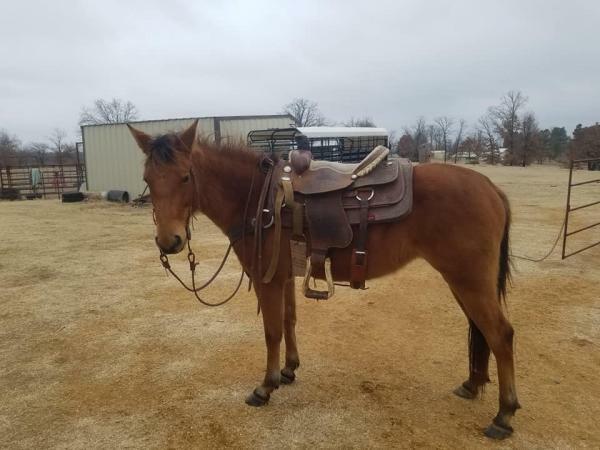 She's done great getting sacked out with the saddle pad and had a saddle on her once and didn't have a care in the world about it. My plans for her are to get her started and then sell her once she has about 90 days or so on her. I want to start a business buying and selling Quarter Horses. 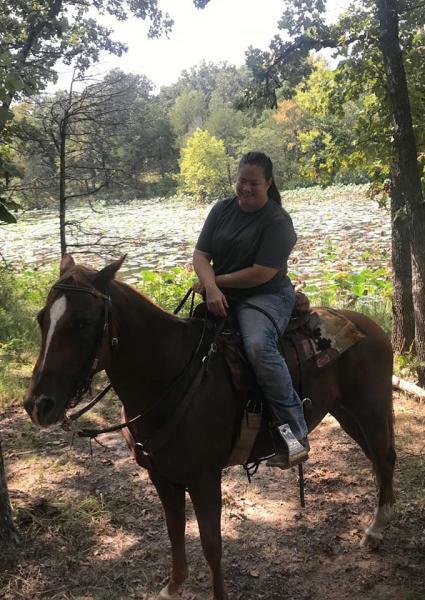 I first got interested in it when I would help my cutting horse trainer sell some of his cutters and loved the feeling of finding a "perfect fit" of horse and rider. I then moved to Weatherford, TX for a bit and worked for a guy down there selling horses and fell in love with it even more! 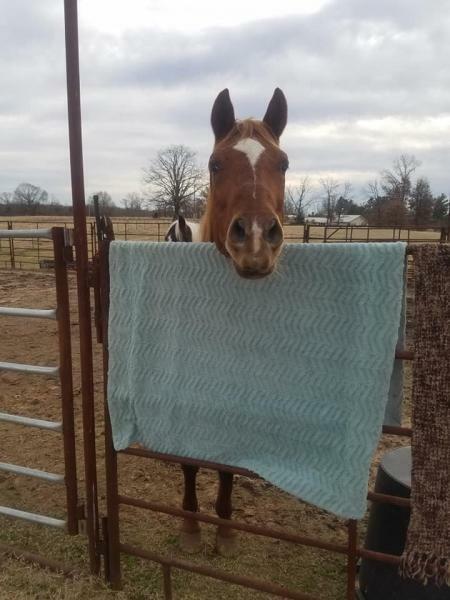 I moved back home to Illinois and sold my heart horse to the perfect home for her in Wisconsin, after starting/training her and owning her for two years. Share some pictures of your horses! csimkunas6, kiltsrhott, JCnGrace and 12 others like this. Love sharing pics of my horses! 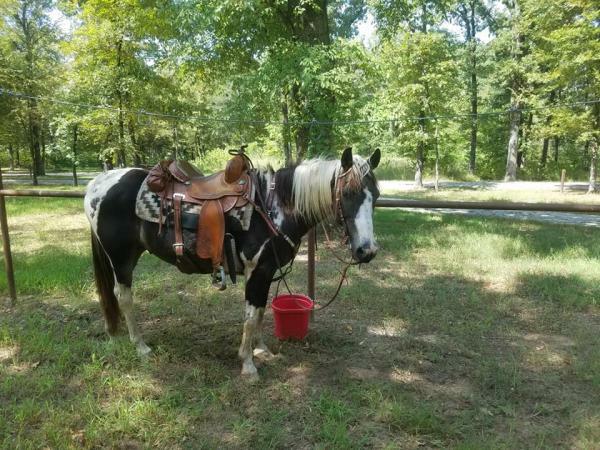 Here is my heart horse APHA Rodeo Time. He is 9 years old today, he was my first horse and he was 10mo when I bought him, Ive done all his training 100% by myself which I couldnt be happier with. 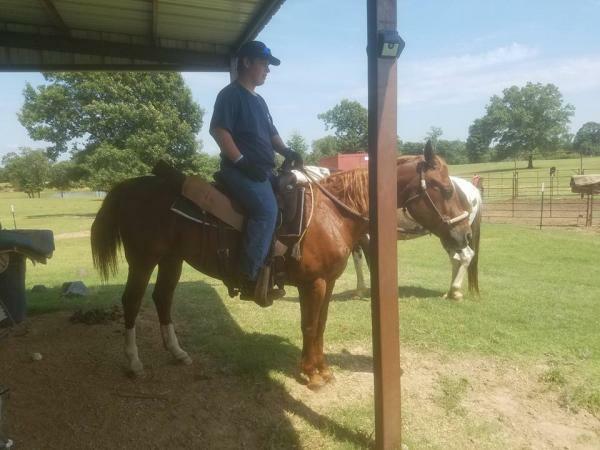 He is terrific with my kids, great on trails, and Ive even taken him to places for the mentally and physically disabled to ride him! He's just super! Since we've moved, he's taken an interest in the neighbors cows so Id love to try working him on some cows and see how he does! And then we have Squishy! Squishy was rescued when he was 3 days old, we adopted him at 6mo, he's coming up on 11mo now! Hes supposedly a Pryor Mt. Mustang Welsh cross but Im seeing more Welsh than anything! Planning on him to be a future kids pony for my 3 kids! JCnGrace, kewpalace, Cordillera Cowboy and 9 others like this. Awww! They are both so cute!! The picture of them touching noses needs to be framed and hung on the wall!! csimkunas6, Cordillera Cowboy, knightrider and 3 others like this. Currently I have 2 horses. Dante is the chesnut peruvian paso. I bought him as a 5 yr old and next month he will be 26! He's been a wonderful trail horse, an easy keeper and just plain fun. River is the black kentucky mtn and is 17 yrs old. Just got him last summer off Craigslist and so far so good! Super friendly and curious personality. Done well with everything we exposed him to--trails, obstacles, kiddie rides, etc. csimkunas6, JCnGrace, kewpalace and 9 others like this. Hey! @csimkunas6 , today is my heart horse's birthday as well! How cool is that. My black bay Paso Fino turns 15 today. Like you, I bought him as a baby and trained him from the beginning. I love him soooo much! csimkunas6, egrogan, JCnGrace and 9 others like this. ANY EXCUSE. Any will do. I'm like that granma that likes to pull wee little photo album out of her purse while on public transit busses and show you pictures of her grandkids, except I have a grandbaby and horses, so expect any excuse to trot them out. The Old Man, the undisputed KING of the pasture, any pasture. Mr. I give NO FIGS about living alone - Superman and grandson of Doc Bar himself. He is 22 and has taught many of us how to ride, and a few of us how to face off and fight for our lives when he's been made angry beyond his ability to control himself. That was our fault, not his. We loves him. The Magnificent Mr. Trigger.... he and Supes are the Odd Couple. Oops - the baby born to us. Our senior Golden Retriever, Max, was bigger than her the day she was born. She's three now. I think she was 2 in that picture. Pretty much looks the same, just bigger, her tail touches the ground now, her mane is thick and getting very long. Tomorrow she gets her first farrier trim. Her fourth ride, after saddling up a couple of months ago. 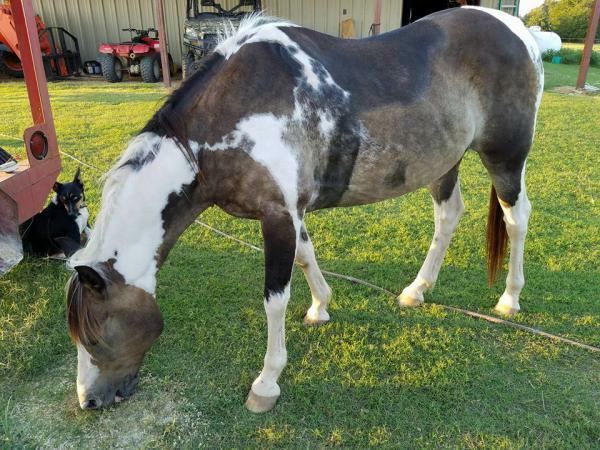 AJ, a registered paint mare my husband fell in love with, got home with, and then discovered she's arthritic in her left knee and sound only for light trailriding. I bought her from him. She will be lightly ridden this summer, but will, by next year with any luck, be carrying a foal. 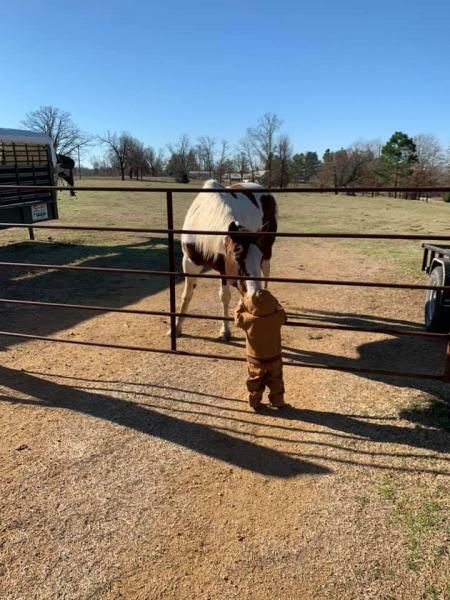 Little britches in the Carhart is my granddaughter, and I don't mind sharing her name: Khloe. Outback - She was born to us, her mother was a hateful rank hag. I don't miss her, but Outback was learning terrible habits from her. I bought her last week for 300.00 from my daughter. 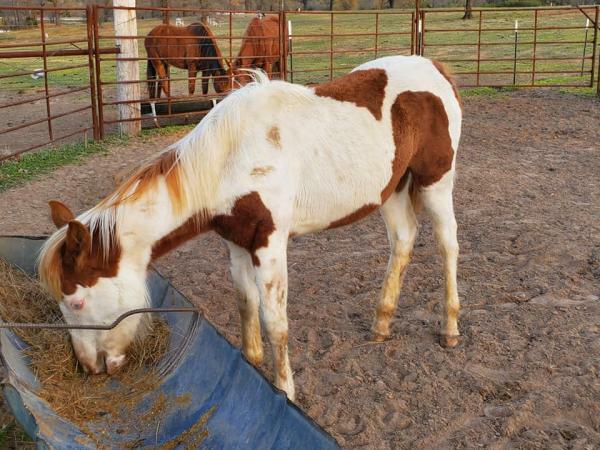 She is a yearling, and what is called a Medicine Hat Paint. I suspect she'll be about Gina's size when matured. It's hard to get a flattering picture of her right now - she's battled ring worm, rain rot, busted the toe off a hoof last week (She may be getting a trim tomorrow too! ), and she's dirty and was wormy that day (Because she's been too wild to worm. I remedied that.). She's looking so much better now. Lastly... Little Sakem Dancer (registered name). The bay roan... She has no barn name yet. 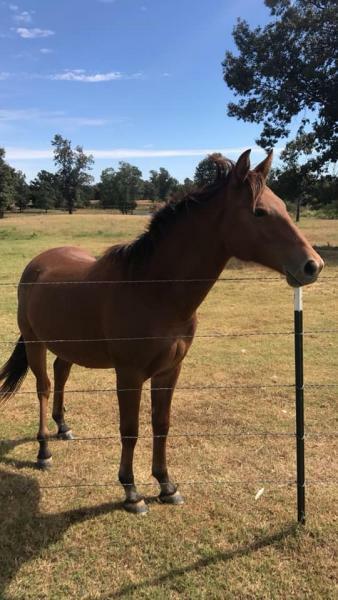 She's my daughter's new acquisition, an unhandled 3 year old AQHA filly. csimkunas6, JCnGrace, Cordillera Cowboy and 9 others like this. 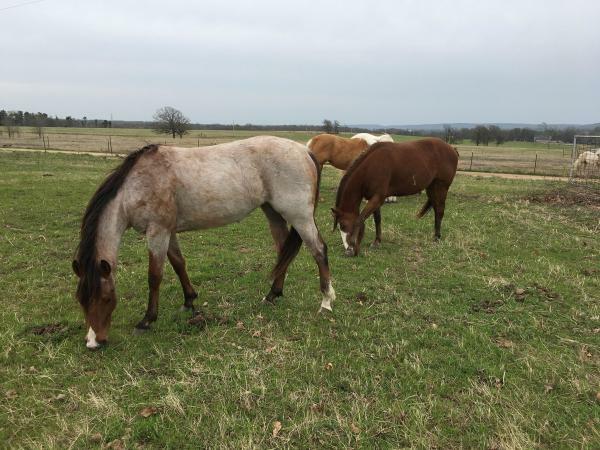 2 mini mares, 2 Corolla Banker geldings & the new one is a Nevada mustang. csimkunas6, egrogan, JCnGrace and 8 others like this. Cedar, my million dollar, once in a lifetime, dream horse. He is as smart as he is handsome. Salty, my crazy, sweet, fast, sensitive one eyed wonder. He's the grittiest SOB I've ever known. Gus, my husband's big boy. He's gone from shut down and sad to a constant joker. Hoot, my daughter's rock solid boy. He's a little sassy and opinionated but absolutely never gets shook. ... a pretty handsome group of fellas. We're lucky to have each one! csimkunas6, egrogan, JCnGrace and 10 others like this. Last edited by Cedar & Salty; 04-11-2019 at 11:55 PM. Our current horse, Skippy. All 12.3 hands of her, the tallest horse we've been able to locate around here. Most everyone who sees her comments on what a big horse she is. Riding onto our ranch on her first day here, about a year ago. And packing up a load of firewood yesterday. Aww, I love seeing every ones hoofed babes. :) Here are my babes.